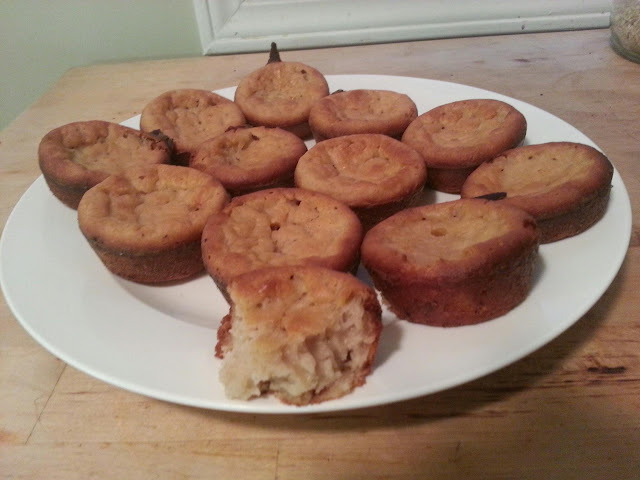 I came across a can of coconut milk in the cabinet and I thought it would be fun to make a simple dessert. 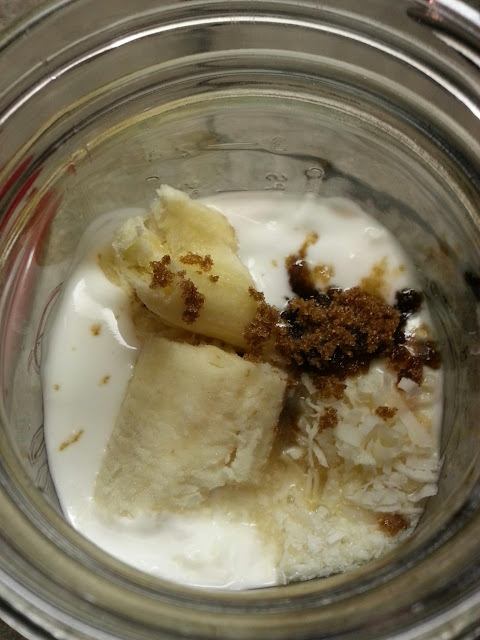 I combined the coconut milk with banana, brown sugar, pineapple juice, grated coconut and vanilla. I blended all the ingredients together and this is where I was stuck. I knew the combination was good but didn't know how to finish. 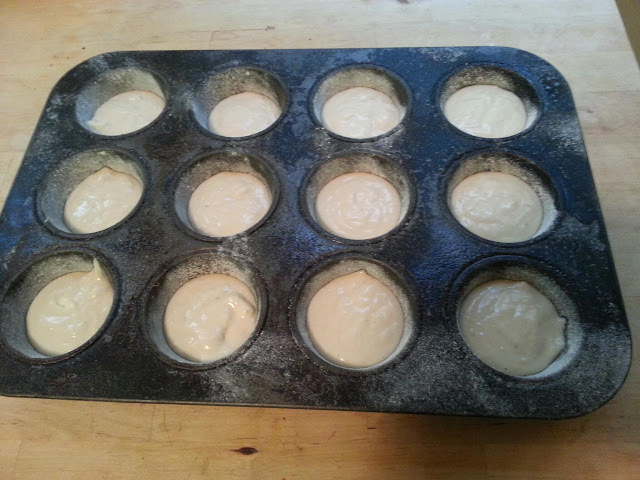 I finally decided to add in a few knobs of butter, flour and baking powder and poured into a muffin tin. After baking for around 35 minutes my muffins were all set. The muffins were moist and had a good deal of banana flavor. I wasn't too sure where I was going with dessert but I'm wound up at this.